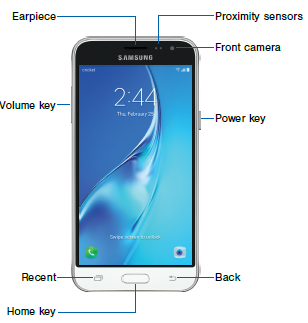 The Samsung Galaxy Amp Prime Cricket user guide is consisting of 109 pages. 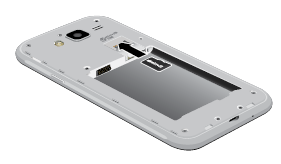 The manual povide detail reference information such as Learn about your mobile device hardware, assembly procedures, and how to get started using your new device for example device part overview, Install the SIM Card, Install a Memory Card on page 5, Reset the Device, Factory Reset Protection on page 8. Then about using home screen, Touchscreen Navigation, Use the Samsung Keyboard on page 18, Use Emergency Mode on page 20, Set Up Your Voicemail on page 29, using applications like Deezer, mycricket, Visual Voicemail, Take pictures and record videos with the Camera app on page 39, Create a Voice Recording, and more. Other important information such as about device setting sguide on page 61 for example using wi-fi, bluetooth, Use Mobile hotspot and Tethering, Change the look of the Home and Lock screens with wallpaper, Find My Mobile, Set a Screen Lock, Backup and Restore on page 96, Reset Network Settings, and more.